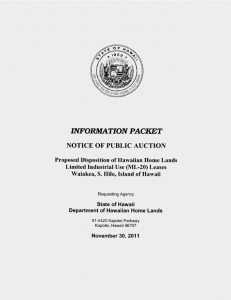 Information Packet - NOTICE OF PUBLIC AUCTION. Click the image or here to download the Information Packet. 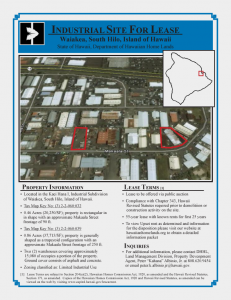 Industrial Site for Lease - Waiakea, South Hilo, Island of Hawaii - Information Sheet. Click the image or here to download the Information Sheet. This posting expires January 13, 2012, 6:00 a.m.